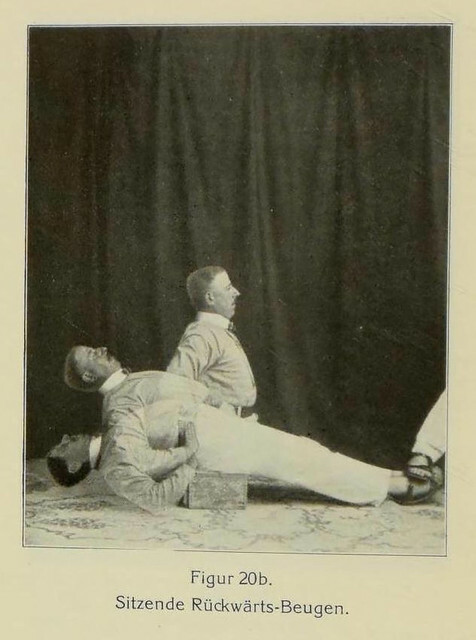 See the remainder of the set at “Swedish House-Gymnastics.” And browse the book in full at the Internet Archive. As we affirm our faithfulness to fitness, we might spare a thought for Wilhelm Weber; he died on this date in 1963. 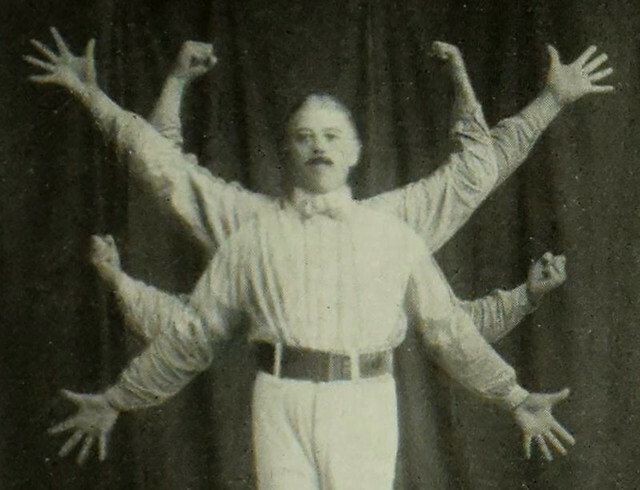 A German gymnast, he medaled twice for his country at the 1904 Summer Olympics in St. Louis. The above graphic from HowMuch.net, a cost information site, visualizes data from a recent study by Oxford University to compare the budgets of previous games. 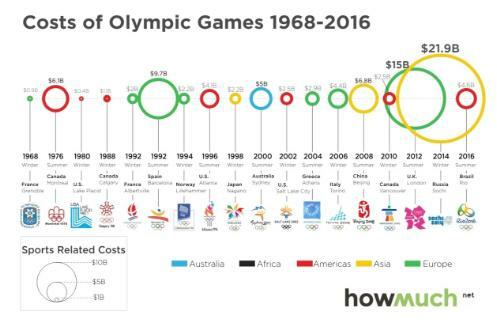 The study found the average cost overruns for Olympic Games to be a whopping 156% from 1968 to 2016. 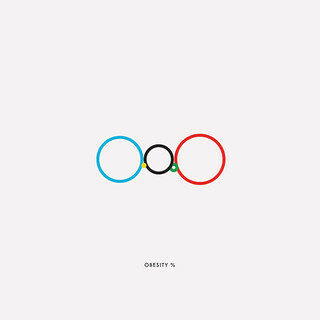 This means that the Rio Games were a budgeting success, at least in relative terms, by ‘only’ running 51% overbudget. It should be noted that the study accounts only for sports-related costs, such as those relating to operations or building venues. The study excludes indirect capital costs such as upgrading transport or hotel infrastructure, since data on these costs is harder to come by, and is often unreliable. 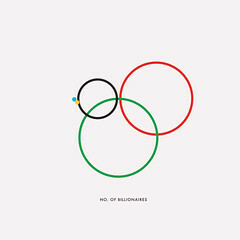 Also, some Olympic Games were omitted from the study, as they did not have available public data on the costs involved. The good news for organizers is that cost overruns, as a percentage, are generally going down. The 1976 Summer Games in Montreal caught everyone off guard after going 720% overbudget, and the city was saddled with debt for 30 years. Lake Placid (1980), Barcelona (1992), and Lillehammer (1994) were all grossly overbudget as well with 324%, 266%, and 277% overruns respectively. 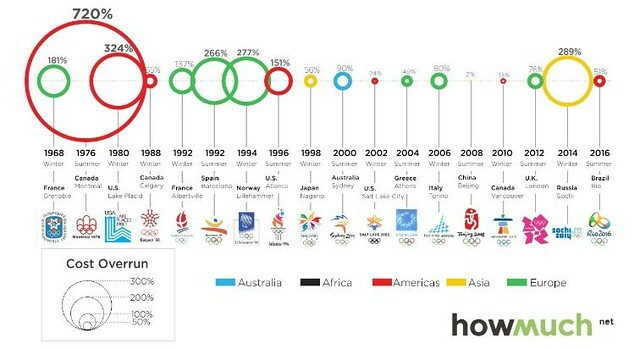 However, recent games – with the exception of Sochi (289%) – have all been pretty good as far as Olympics go. The average cost overrun since 1998 has been just 73%. The bad news for organizers is that costs, in general, are still going way up. Organizers are just getting slightly “better” at budgeting for them. Here are the total costs for all games in the study – note that costs are adjusted to be in 2015 terms. 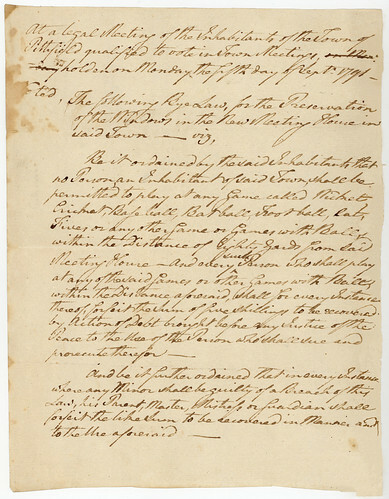 As we pass the torch, we might note that it was on this date in 1791 that the town of Pittsfield, Massachusetts voted to ban the game of baseball (and other activities that had disturbed many of the townspeople). Until about a decade ago, it was widely believed that baseball was created by Abner Doubleday (or his contemporary Alexander Cartwright) in 1846; and indeed, the “modern” game– baseball as we know it– was. 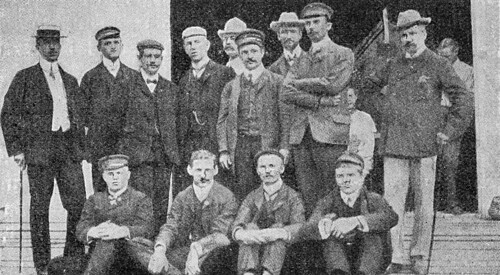 But historian Jim Thorn’s discovery of the Pittsfield Bylaw, fifty-five years older, is the earliest known reference to the game. The relevant section: Be it ordained by the said Inhabitants that no person or Inhabitant of said Town‚ shall be permitted to play at any game called Wicket‚ Cricket‚ Baseball‚ Batball‚ Football‚ Cats‚ Fives or any other games played with Ball‚ within the Distance of eighty yards from said Meeting House – And every such Person who shall play at any of the said games or other games with Ball within the distance aforesaid‚ shall for every Instance thereof‚ forfeit the Sum of five shillings to be recovered by Action of Debt brought before any Justice of the Peace to the Person who shall and prosecute therefore And be it further ordained that in every Instance where any Minor shall be guilty of a Breach of this Law‚ his Parent‚ Master‚ Mistress or guardian shall forfeit the like Sum to be recovered in manner‚ and to the use aforesaid. 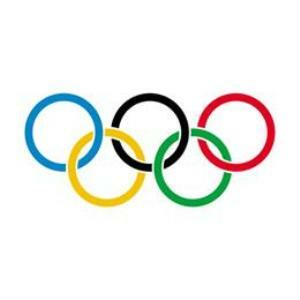 At the time of this Olympics, diving was a young sport. Its history was rooted in 19th-century Sweden and Germany, where gymnasts experimented with tumbling routines that ended in the water. 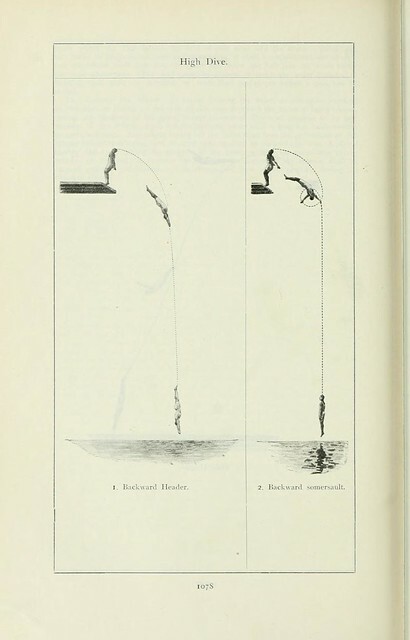 Swedish divers traveled to Great Britain in the late 1890s and made exhibition dives, which prompted British enthusiasts to found an Amateur Diving Association in 1901. 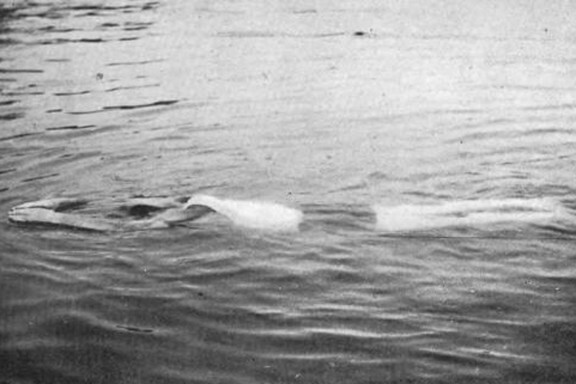 In 1912, which was the first year that women’s diving was included in the Games, Swedish athletes won gold in men’s and women’s 10-meter platform diving, as well as men’s plain high diving. As we tuck and roll, we might send mellifluous baritone birthday greetings to Christopher Eugene “Chris” Schenkel; he was born on this date in 1923. 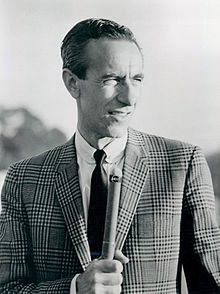 A career sportscaster perhaps best remembered as the voice (for almost 40 years) of professional bowling, he was a regular announcer on ABC’s Olympics broadcasts. Indeed, contrary to current popular belief, Schenkel, not Jim McKay, anchored ABC’s prime time coverage of the ill-fated 1972 Summer Olympics: when the terrorist attacks (otherwise known as the Munich Massacre) occurred, Schenkel was asleep after hosting the previous night’s coverage live from Munich from 2 a.m. to 5 a.m. local time. McKay, who was on his way to the Stadium for track and field coverage, was told to return to the ABC studio to report on the situation unfolding at the Olympic Village. Schenkel returned to anchor Olympic coverage after the Games resumed. 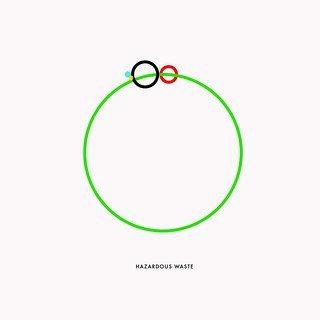 Read more at Co-Design, and see more at Oceaniaeuropeamericaasiaafrica. As we settle in for the marathon, we might recall that it was on this date in 1895 that Louis Lassen served the first “hamburger” sandwich… at least, according to the Library of Congress. 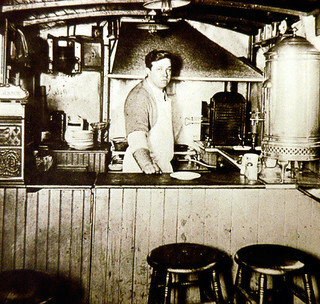 Louis Lassen, founder of Louis’ Lunch, ran a small lunch wagon selling steak sandwiches to local factory workers. Because he didn’t like to waste the excess beef from his daily lunch rush, he ground it up, grilled it, and served it between two slices of bread — and America’s first hamburger was created. 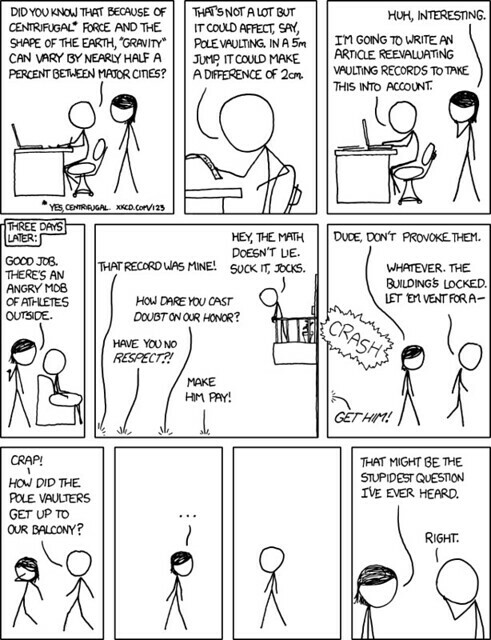 It will not surprise readers to know that there are many other claimants to that singular honor. While the long jump event has tested the athletic prowess of track and field stars from around the world, back in the Paris Games of 1900, horses were given the chance to show off how far they could leap. As part of the equestrian events, horse long jump only had one Olympics to make its mark and it failed to do so spectacularly. 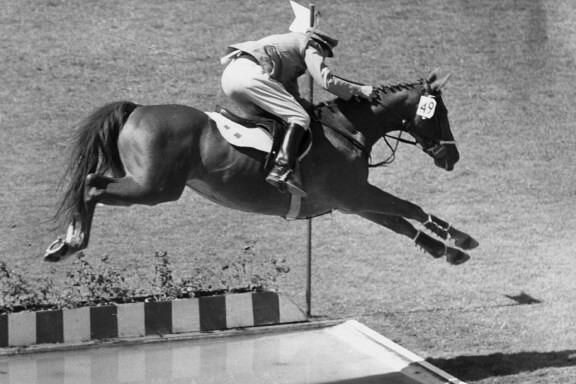 No one could accuse equestrian horses of not being athletic, yet the winning leap, from Belgium’s Constant van Langendonck atop the horse Extra Dry, measured only 6.10 meters. Not too shabby, until you consider the world record for long jump, by a human, is 8.95 meters. And on the heel of the London authorities unplugging The Boss and Sir Paul mid-song, a look at local reactions to the London Olympic authorities’ authoritarian antics. As we practice in preparation for the inclusion of beer-pong in 2016, we might recall that it was on this date in 1927 that “The Georgia Peach,” Ty Cobb, recorded his 4,000th career hit. 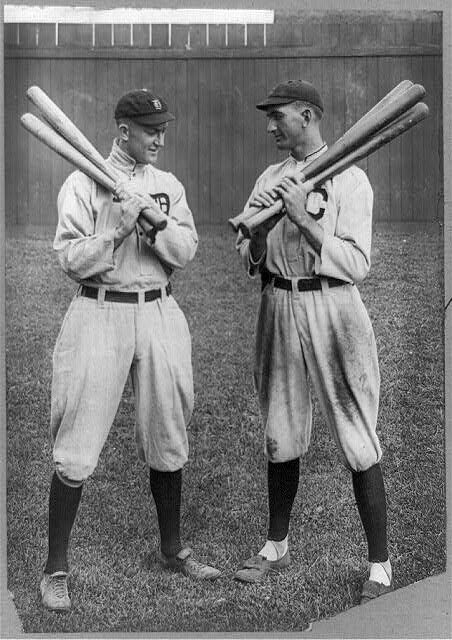 Cobb finished out his Major League Baseball career the next year with a grand total of 4,191 hits– which stood as a record until 1985, when it was surpassed by Pete “What are the Odds” Rose. Cobb was in the inaugural class of five elected to the Baseball Hall of Fame in Cooperstown.